Dr. Art Rosengarten has been the Owner/Director of Moonlight Counseling since its 1992 establishment in North County San Diego. A licensed Psychologist and Marriage & Family therapist in private practice since 1981, and staff psychologist at Coastal Psychiatric Medical Services in Del Mar, CA. He is also an author, adjunct graduate professor of Psychology, meditation instructor, popular lecturer, as well as an innovative teacher/scholar and highly-skilled reader of Tarot. His books may be ordered directly from his publisher Paragon House, or on Amazon and other booksellers. Dr. Rosengarten received both M.A. and Ph.D. degrees in Clinical Psychology at the California Institute of Integral Studies in San Francisco (formerly the California Institute of Asian Studies). His areas of expertise include talk therapy for adults and adolescents, mindfulness training, couples counseling for improving relationships, guidance through separation and divorce, group psychotherapy, addiction and recovery issues, and Jungian active imagination. He has years of experience working in private practice both in San Diego and San Francisco, In-Patient Hospital, and Residential Treatment settings, and is additionally a skilled group facilitator, lecturer, and workshop presenter. 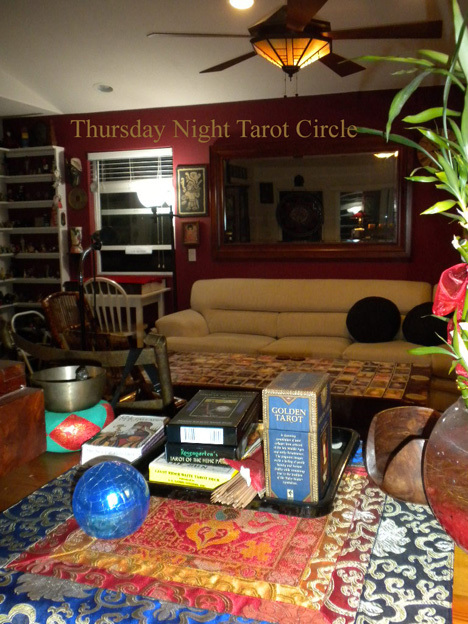 Online, Art is now offering an Online Seminar Program called Tarot, Imagination, and Consciousness at MoonlightTarot.com. He is also the Owner/Moderator of the Yahoo Discussion Group: Tarotpsych. Art Rosengarten is also a published writer of essays, poetry, and non-fiction. He wrote the first doctoral dissertation on tarot cards (1985), entitled: Accessing The Unconscious: A Comparative Study of Dreams, TAT, and Tarot (see Dissertation Abstract in archives of Tarotpsych) and has been a leading voice in the modern tarot movement for over 30 years. 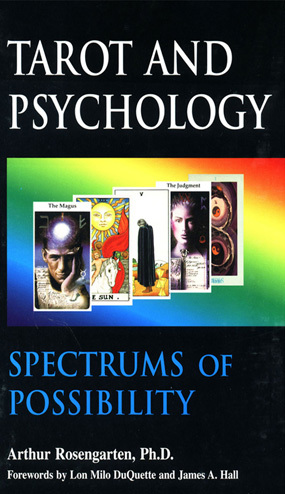 Art has been a regular guest on the nationally-syndicated talk radio program Coast To Coast AM with host George Noory for over a decade, and was the keynote speaker at The Reader’s Studio ‘Tarot and Psychology Conference’ 2015 ( NYC) discussing ‘Psychological Tarot: A Psychospiritual Approach to Therapy’. 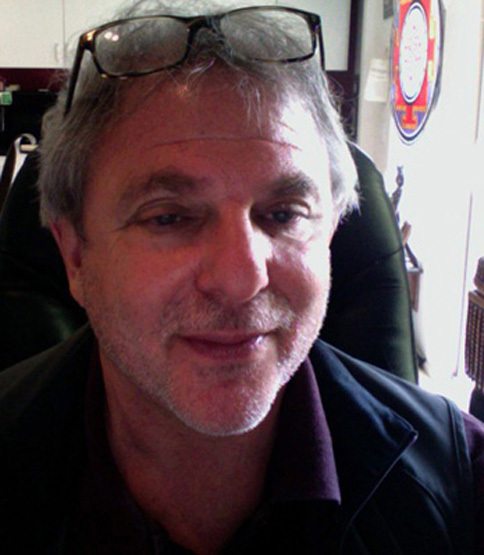 Dr. Rosengarten has taught in China, India, and Egypt, as well as throughout the US, and is author of the classic text in the field Tarot and Psychology: Spectrums of Possibility first published in 2000, and is also long experienced in Jungian, Transpersonal, and Buddhist psychologies. Art Rosengarten’s articles, poetry, and other writings can be found on his blog: FarSeeing Art. His pilot study of Tarot and Domestic Violence was presented at the First World Tarot Congress in Chicago (1997) sponsored by the International Tarot Society and he has subsequently spoken at all World Congresses. Art has taught the psychological application of tarot throughout the US, as well as in India and Egypt. His self-created deck and guidebook–Rosengarten’s Tarot of the Nine Paths: Advanced Tarot for the Spiritual Traveler was published by Paragon House in 2009 and can be purchased on Amazon and (autographed) on this site as well. His forthcoming book The Future of Tarot: Space Craft for the Sacred Interior is due for release in early 2018.